Reports have surfaced over the last week that the Sabres have made an offer to free agent defenseman Cody Franson. It’s surprise that Franson is still on the open market with training camp only a few weeks away. Adding a player of Franson’s caliber would be a good upgrade to the Buffalo defense group this late into the offseason. lowers the value of Franson even more. The Sabres have been interested in Franson after their primary target of Johnny Oduya signed with the Stars. General Manager Tim Murray was never looking to bring in the 6’5 defender to a long term contract. Throughout the summer Murray was only interested in a shorter term deal at two years and 4.5 million dollars per season. However, from what I’ve been told the dollars have dropped into the range of 3-4 million per season for two years with how the market has changed. The two sides have picked up talks, but still no deal has been agreed upon. 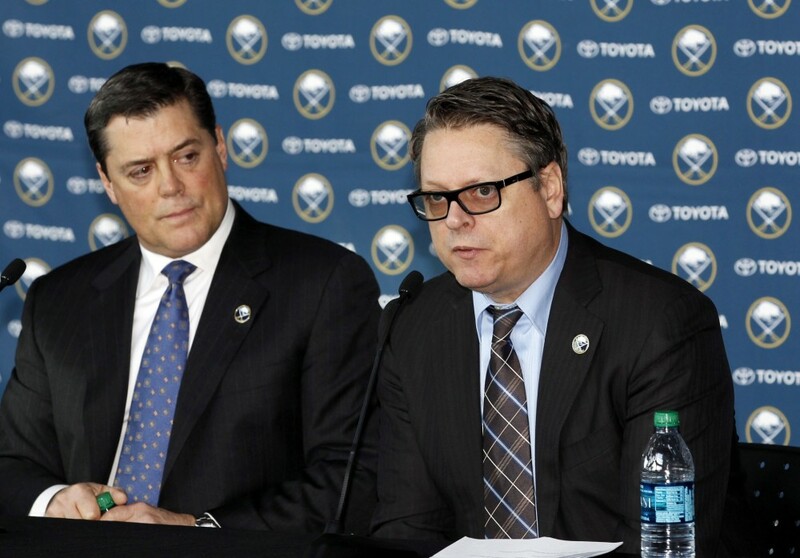 Murray won’t budge off of his current offer as the Sabres are not desperate to add a defender at this point. The Sabres would be comfortable going into camp with the roster as is. Buffalo has all the power in the negotiations and Franson could be looking at PTO contract if the two side can’t come to an agreement. If Franson does indeed sign with Buffalo, the idea of a player like Jake McCabe making the team out of camp becomes more of a long shot. With this addition, the blue line would be pretty much set with Ristolainen, Bogosian, Gorges, Pysyk and Franson. Colaiacovo will likely slot in as the 7th defenseman, leaving the camp battle for 6th spot between Weber and McCabe. The Sabres would likely go with the experience of Weber over McCabe, unless the 21-year-old has an outstanding training camp. Buffalo would more comfortable with the former 2nd round pick starting the season in Rochester and being the first call up in injury situations. Franson would be a great fit for what Murray was looking for at the start of free agency. He would bring experience to a young group and fill in the role of a top 4 defenseman. If Buffalo can indeed close the deal with Franson it would be a solid final piece to a team who accelerated their rebuild this offseason with the additions to the roster.